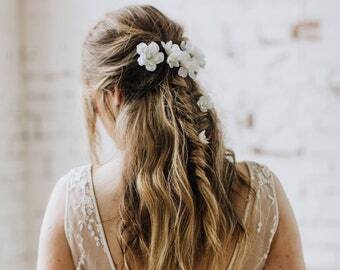 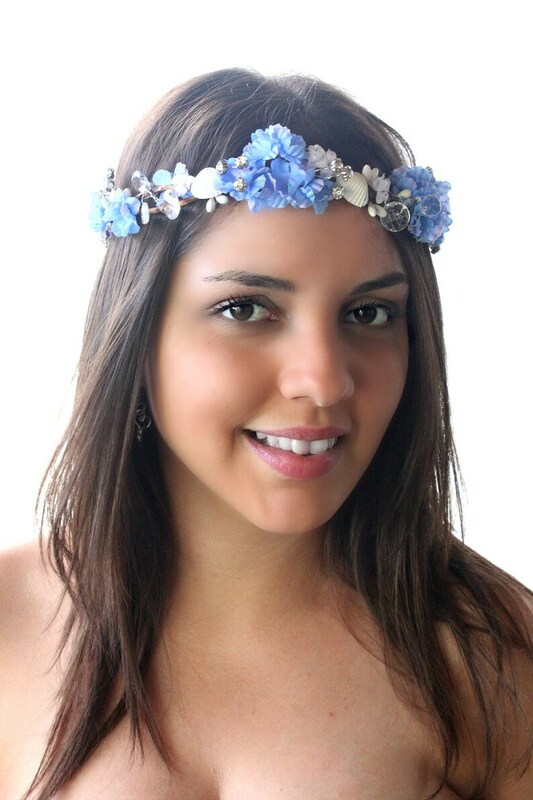 Lovely beach inspired circlet adorned with blue with a hint of pink blossoms, few white blossoms, white shells, acrylic sprays, silver wire white faux pearls attached to a wire vine band. 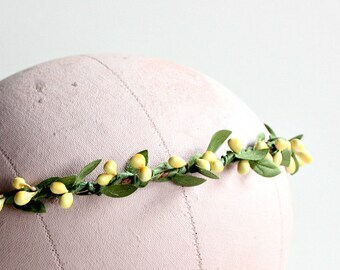 Plus, some white pip berries This crown is open on the back and have a white ribbon to adjust to fit any size of the head. 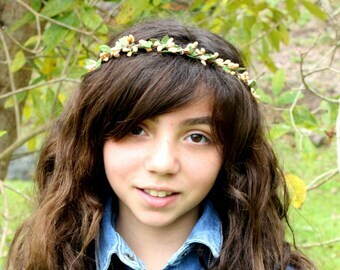 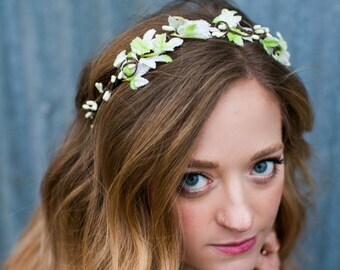 Perfect for beach or destination weddings or just to add a touch of pretty during summer. 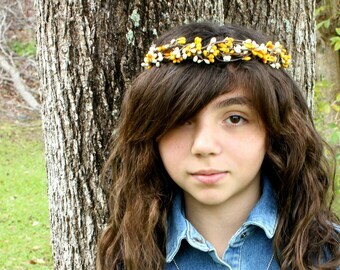 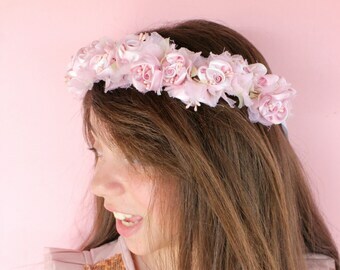 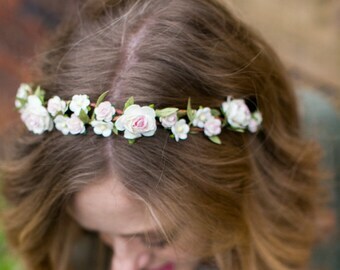 Can be used as a crown or tiara.